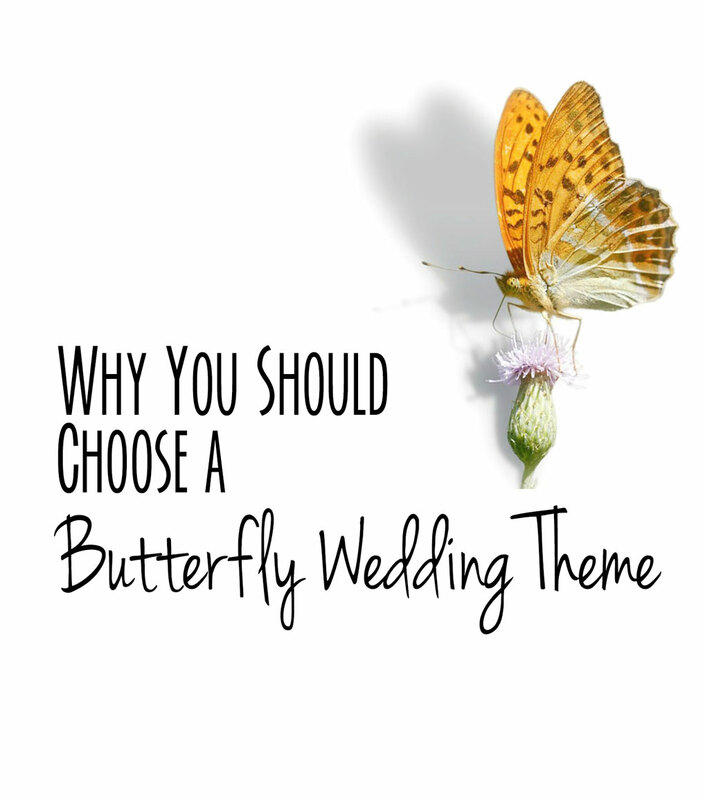 Butterfly Wedding Themes have great significance and meaning. Here are some must do’s for this wedding theme. There just aren't many themes that have this much symbolism...which makes it that much more unique and special. The best part is you can use this theme for any season at any venue! You can also go all out or you can keep it more subtle in the background, depending on your preference. It’s no wonder why this theme is so popular, there are great benefits! Great for both indoor and outdoor weddings. This theme can be used for any season! Spring, Summer, Fall, Winter. Butterflies carry a deeper meaning than just a pretty thing to look at. This adds depth to your wedding. Not only do butterflies add a nice touch to a wedding reception, but they also have a deep meaning in most cultures. Knowing this can add depth to your wedding theme. These meanings are perfect for your upcoming wedding, which is a time of transition, expression and celebration! You can incorporate some of these meanings into your wedding. For instance, you could print some of these meanings on slips of paper and scatter them around the tables throughout your wedding. You can also add some of the meanings or quotes to your invitations or thank you cards. Guests will LOVE to see the deep significance of your wedding theme this way! And everyone deserves a little sunshine. Avia Venefica explains another interesting point of view. She points out the importance of the butterfly in Greek mythology. The Greek god “Psyche” is represented by a butterfly. Psyche and Eros (the Greek god of love) forever share a deep love between each other. Is this not perfect for a wedding theme? Here is a great place to start for DIY butterfly ideas. Also, check out this dress idea on Martha Stewart Weddings! Here is a great website for butterfly-themed invitations, wedding programs, placecards, thank you cards and more! Lastly, here is a list of some of our favorite butterfly wedding favors. Follow Wedding Favors by Theme's board Butterfly Wedding Themes on Pinterest. You won’t regret choosing this theme! I hope this has helped you see why is a great choice for your wedding! Happy Planning!